Chinese-American Playwright Alice Tuan, winner of the Richard E. Sherwood Award and the Colbert Award for Excellence, returns to the Los Angeles theater scene with HIT, her latest eclectic play. Directed by Laurel Ollstein, the play will premiere for the first time at Los Angeles Theater Center on May 15th with 16 shows running until June 8th. 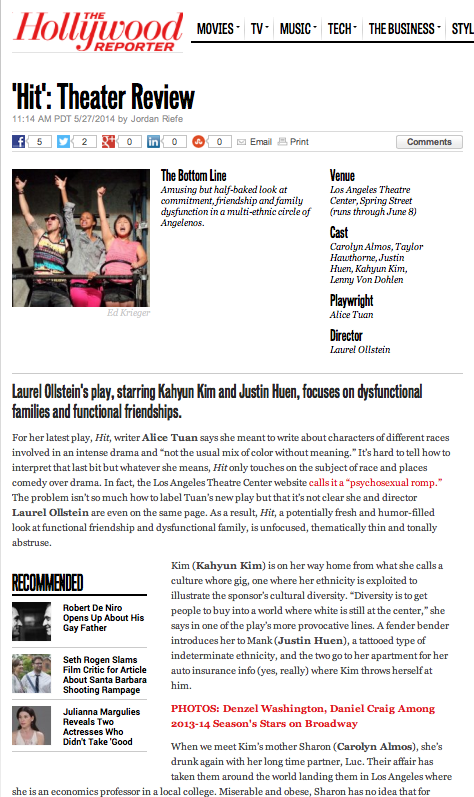 “A mixed cast, written by an Asian gal, and produced by the Latino Theater Company in the center of a booming Downtown L.A? This feels glorious”, Tuan declares. 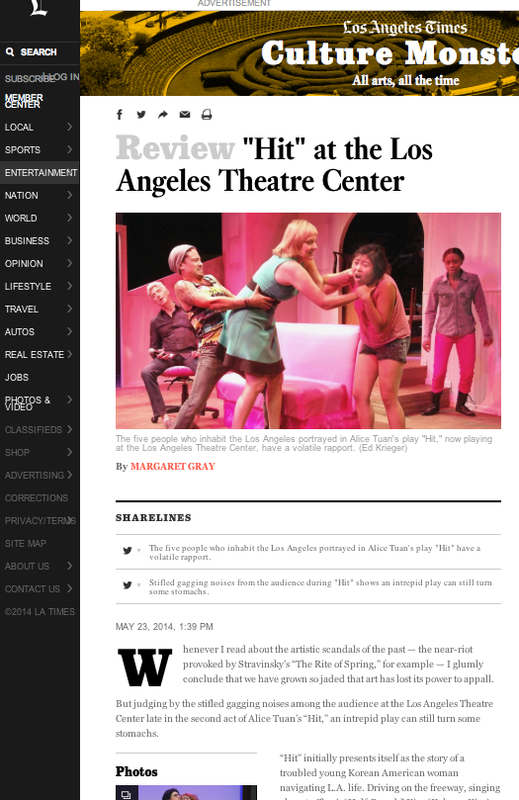 The mission was clear: get "HIT" to hit the media outlets in Los Angeles. Pazos Media reached not only local media outlets specialized in theatre, but also got reviews and interviews with general media outlets.